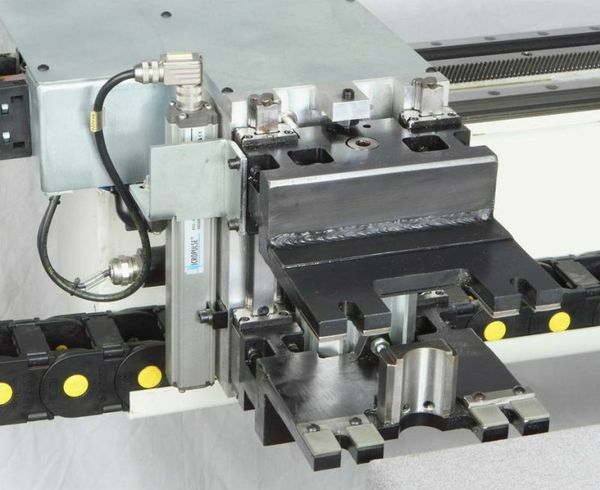 In morbidelli ux range the efficency of a through-feed drilling machine joins the flexibility of a machining centre. 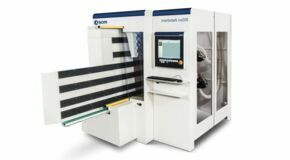 These machining centres are realized to satisfy all the drilling, routing and grooving operations; they are equipped with specific operating units to allow simultaneous processing on two panels overlapped. 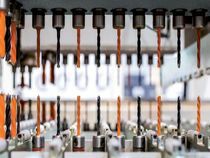 morbidelli ux models can be integrated into a production line as well as working as a stand-alone machine. Reduced cycle time and no repositioning: the new clamps' design allows drilling and routing operations also in positions inside the clamp area. Absence de jeux pendant l’usinage avec la nouvelle technologie RO.AX (broche à technologie rotoaxiale) le mandrin le plus performant du marché, avec une vitesse de rotation jusqu’à 8000 t/min. La robustesse des têtes de perçage est prouvée par les coûts de maintenance réduits: un temps cinq fois inférieur à celui imposé par la majorité des constructeurs. 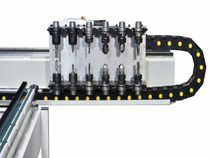 Two pairs of variable step dowelling units on the upper drilling unit and 16 horizontal spindles on the lower drilling unit. 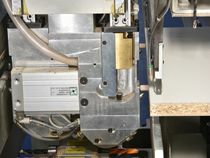 Double router motor with double tool changer. 12 tools at disposal: 6 tools for the upper router and 6 for the lower one. Merci Votre message a été envoyé. SCM Group vous contactera le plus rapidement possible.